See...the money starts coming in when you get a good (work) flow going! Being great at sales doesn't just take a winning personality and a knack for being relatable. It takes organization, efficiency, and process. In my research, I found some stats confirming what I’m about to explain. Companies that have a basic defined sales process grow 15% faster than those that don't. 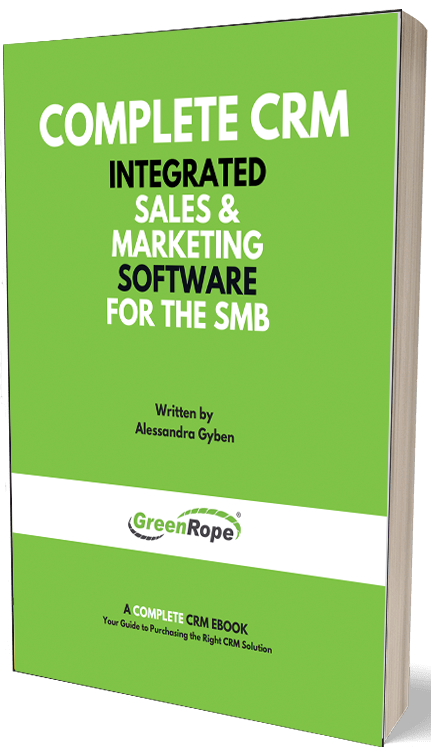 Companies that utilize multiple types of sales process management have 28% higher growth rates. Process can really alter the trajectory of your revenue and overall growth. With the help of technology and well thought out processes any business can increase their sales, save time, and be more productive. Before we talk about the workflows you can implement immediately, you will first need a CRM platform. A CRM (customer relationship management) tool is going to help you establish these streamlined workflows, keep you on top of your tasks, act as a second brain retaining all sorts of information about your contacts, and track all of your interactions. However, do not necessarily think of a CRM as an efficiency tool, it is meant to help you nurture and manage important business relationships that actually drive sales, referrals, and long-time customers. A workflow consists of a sequence of steps/activities/tasks that can happen over a period of time. Workflows help implement specific business processes and help a team/business stay organized and on top of their follow ups, projects, and tasks. Imagine how much more you would get done if you didn’t have to remember every single interaction, task, meeting, phone call, etc.? A lead fills out a form on your website. A workflow triggers. The sales person is notified to follow up with that lead either by phone or via email. This is the simplest form of a workflow. The lead takes an action and the salesperson is notified to immediately follow up to make that initial contact and kick off the relationship. Purpose: Interact with your new lead when they are active on your website. As part of your lead nurturing strategy, you set up a workflow to notify the salesperson that the lead has clicked on an email and is therefore interested in engaging. This would be considered a real-time follow up workflow. Purpose: Make timely follow ups while your leads are actively engaging with your brand. Your qualified lead has now converted into a paying customer. Obviously, you’re happy about the sale. Setup a follow up workflow to thank the new customer for their business. Personal touches like this make all of the different in the age of the customer. Purpose: Showcase your commitment to the customer experience. The relationship extends past the purchase. You want to continue to grow this relationship. Your new client is ready to be onboarded. They are prepared to start being trained, educated, and informed about their recent purchase or upgrade. No matter what your onboarding process, each time a customer comes on board they should go through a consistent process. For example, do they need to meet with their onboarding manager, a marketing coordinator, a client services manager and then receive a follow up from their sales rep? Add each activity to an onboarding workflow to ensure that each step is completed by every person involved. Purpose: Effectively and efficiently onboard new clients. Provide them with all of the information they need to succeed with your product and/or service. It is important to keep your customers happy and top of mind. Consistent follow up is a great way to make sure your customers are happy. Happy customers are the gift that keeps on giving. Client retention relies heavily on active engagement. If they know that you care about their business, they are more likely to keep giving it to you. Schedule monthly follow up CRM activities to make sure you never miss an opportunity to engage with your client. How will you know what your clients are thinking if you never check-in with them? The companies that keep in touch with their clients are more likely to keep those clients for the long-term. Purpose: Keep your clients happy and engaged. Make sure they are taking full advantage of your product and/or service. This makes them sticky. Sticky clients ‘stick’ around. If you implement lead scoring into your strategy, you will definitely want to employ this workflow into your process. Activate a workflow when a lead has visited a certain number of pages on your website, watched a video, or downloaded an eBook. If a lead hits a certain point threshold (determined by your lead scoring structure), trigger a sales follow up workflow. The lead will think you’re so good, you can read their mind. Purpose: Strike while the iron is hot.